يقع فندق فندق ترافيلودج جاردن سيتي، المصمم ليناسب كل الضيوف سواء كانوا من رجال الأعمال أو السياح، في مكان ممتاز في أحد أكثر المناطق تفضيلاً في ضواحي بريسبان الجنوبية. يقع مركز المدينة على بعد 12. Km فقط. ويمكن الوصول إلى المطار خلال 25 دقيقة. يضفي محيط الفندق اللطيف وقربه من Westfield Garden City Shopping Center, Eye-Tech Southside, مركز ستيت نيتبول سحراً خاصاً على هذا الفندق. إن فندق ترافيلودج جاردن سيتي حريص على توفير الراحة للنزلاء، فلا يوفر الموظفون جهداً في تقديم أفضل الخدمات وضمان حسن الاستقبال. إن واي فاي مجاني في جميع الغرف, مرافق مخصصة لذوي الاحتياجات الخاصة, تسجيل وصول/خروج سريع, تخزين الأمتعة, واي فاي في المناطق العامة هي جزء فقط من الخدمات التي تميز فندق ترافيلودج جاردن سيتي عن باقي الفنادق في المدينة. تعكس غرف الفندق البالغ عددها 120 المنتشرة في 4 طوابق جواً من الدفء والألفة.خدمات عصرية مثل تلفزيون بشاشة مسطحة, اتصال لاسلكي بالإنترنت, غرف لغير المدخنين, مكيف هواء, تدفئة موجودة في بعض الغرف المختارة. كما أن مجموعة الخدمات الواسعة الموجودة في الفندق لضمان راحتك تترك لك الكثير من الخيارات لقضاء وقتك أثناء فترة إقامتك. إن فندق ترافيلودج جاردن سيتي هو خيار ذكي بالنسبة للمسافرين إلى بريسبان، بما يوفره من إقامة هادئة ومرحة. Great stay for 3 nights with my son. We were attending a sport event at the Mt Gravatt Uni Sport Complex, location was ideal. Room was equipped with a semi kitchenette including a basin which was handy. Only downfall was the fridge was very little but it still worked for us. The staff were very friendly & helpful. The rooms are serviced daily, quite- minimal road noise, comfy beds, free parking onsite & a guest laundry. Westfield shopping centre is a 5 min walk which was very handy for dinner & food supplies. Overall would definitely stay again. 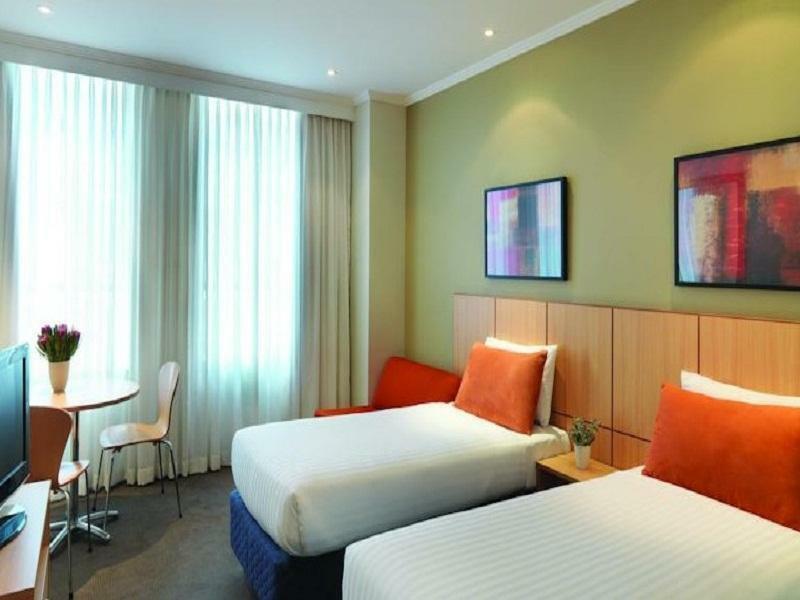 I always stay overnight at this hotel when i'm in Brisbane on business because its a Central location. The staff are friendly and very approachable. The room is clean and tidy. The location is very close to everything i need. Accessibility, Cleanliness and Adequate Room Size. It was a pleasant 4 night stay at the Travelodge Garden City. Simple amenities such as a microwave in the room as well as essentials such as milk for your coffee are provided. Room service is prompt and friendly. It appears to be more of a business hotel but families will most likely be happy to stay at the Travelodge as rooms are large and connecting available. 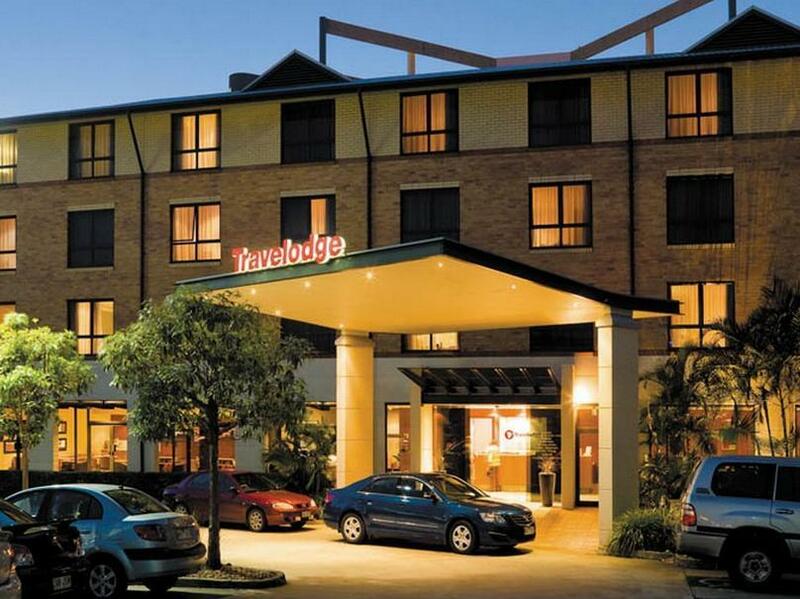 In comparison to hotels in and around the CBD, the Travelodge is most definitely value for money! Free and expansive parking too! A pool would be the only thing missing. Didn't have breakfast there so not sure what that was like. Very clean and comfortable. Right next door to a Westfield Shopping Centre. Quiet rooms and great staff. The location is very convenient, 5 mins drive to Westfield shopping mall and near the free way to CBD. The room was very clean, modern, tidy and new. I love the staff who were very helpful storing our luggages for 2 nights. And the procedure of check-in-and-out was simple and fast. They didn't charge us bond for the room which we were surprised and happy. They have free car park and always available. Overall I recommend Traveloge for travelers have car rental. I needed to stay here for location reasons and it was fine. Clean, room comfortable, staff were friendly and helpful. Breakfast was OK. There is not much around but you can go to the nearby Mall for restaurants (though shops close early apart from Thursdays). I will be happy to stay here again. We enjoyed our stay, the only problem was that we had kitchen facilities, but the fridge didn't function properly. It began to freeze, but often melted and was running in water. The maintenance man tried to get it working properly,but in 9 days it was not working properly. I had a loving stay, and can recommend it to my family and friends. Very easy to get there by public transport from the airport. I catch the airport transfer bus to DFO, then caught Bus #590 Garden City route to get there, then walked through shopping centre to Travelodge The whole weekend cost me $5.90 by bus to and from the airport. Looking forward to my next trip in January, will definitely stay there again. Travelodge is perfect for my needs as a woman travelling alone on business. I felt secure and comfortable. Carpark is handy and easily accessible to the hotel. Comfort level is great and the mini kitchenette gives me flexible choices for meals. Desk staff when I checked in were friendly and helpful. Looking forward to my next stay. mostly in the room to sleep, but hotel was quiet and well presented. comfortable rooms, staff eager to please. no cover for your car. watch out for the ease at which you can buy pay movies with the remote control. i unknowingly purchased a pay movie. Comfortable stay with bright & clean room & big beds, great to a have a little open kitchen with a microwave with us, so we can reheat our food when we were hungry,except one thing is that the water of the shower is a bit slow due to the leakage of the handle. But overall, it is really a great hotel! I choose this hotel because of it's location. Not meaning that it is close to the city but easy access to most of the places that i need to travel. I gave up the city because of the traffic, but here, it is so convenient. 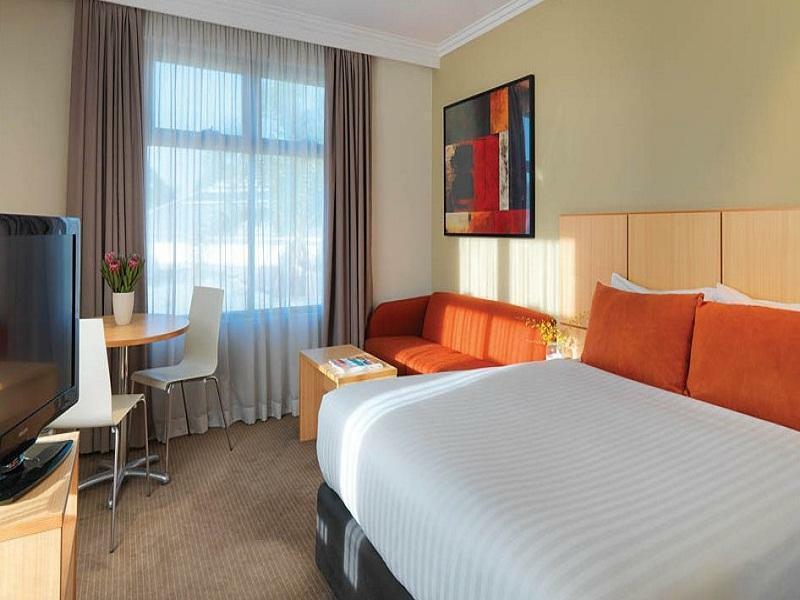 I would recommend the travellers to stay in this hotel if you drop by in Brisbane as this hotel is just behind the big mall "Garden City Mall " so it is very convenient for shopping or just have a good lunch or dinner . The service is excellent and the room is clean and convy , I loved being stay in this hotel for 5 days.